Hey Guys, if you are seeking for the ECL Mining Sirdar Recruitment 2018 then you are at the correct place because here in this post, we are going to share all the detailed information regarding the Eastern Coalfields Ltd. Vacancy 2018 in the below sections of the article. Interested contenders who want to make their career bright in Eastern Coalfields Limited West Bengal. They may read this article very focus fully and take all the relevant details from here and then candidates may apply online for this recruitment from the official website of Eastern Coalfields Limited West Bengal which is www.easterncoal.gov.in. For getting more details aspirants can check our careerjobs360 official webpage on regular basis & get all the information from here. 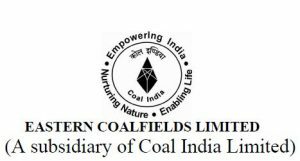 Eastern Coalfields Limited West Bengal has revealed the official notification for Eastern Coalfields Ltd. Vacancy 2018 for the placement of eligible and skilled candidates for filling up 117 Posts of Mining Sirdar vacant posts in the department. The interested and skilled contenders who are looking for West Bengal Government jobs can apply online for the Eastern Coalfields Ltd. Recruitment 2018 from the official website of the department which is given at the end of this post. The interested participant who wants to apply for Eastern Coalfields Limited West Bengal can submit their online application forms as early as possible before the deadline date that is 19th April 2018. For more details about the ECL Jobs 2018 such as age limit, academic qualification. Application fee, and how to apply etc are mentioned in the below article. Eastern Coalfields Limited is a coal producer based in the country India. The company was established in the year 1975 after nationalization of coal mines in India. It is one of the 8 fully owned subsidiaries of Coal India Limited. The company has its headquarters which is located at Sanctoria, in West Bengal. Minimum age limit of the Applicants should be 18 years of age. Upper age relaxation will be applicable for the reserved category of candidates as per the West Bengal State government Rules and Regulations. Interested aspirants must have completed 10th/ Matriculation from any authorized Institution. For more detailed information download the ECL Jobs Notification from the official website. How to Apply for Eastern Coalfields Ltd. Recruitment 2018? Candidates who are willing to apply online for the ECL Mining Sirdar Recruitment 2018 they must check the official notification for eligibility conditions before applying for the recruitment. If you are eligible then submit the online application form on or before the closing date which is 19th April 2018 from the official website. Here, we mentioned some steps for filling the application form easily. aspirants can follow the given instruction very carefully & then apply online for the vacancy. Initially, willing candidates should access the official website of Eastern Coalfields Limited West Bengal which is easterncoal.gov.in. Now, click on the link and open the notification in the next page. Then read the eligibility conditions and then if you are eligible press apply online option. After that, fill up the Application form with appropriate information. Enclosed the photocopies of the necessary certificates with the application form. Upload the photograph and signature on it. Get the printout of the application form and keep it safe for further use.